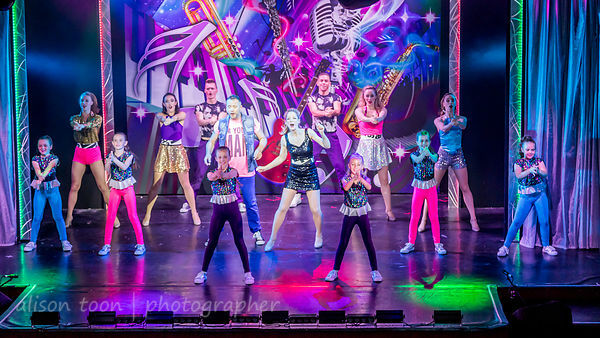 Toon's Tunes : Cromer Pier Show: show two! Phantom of the Opera, Madame Butterfly and... Potato Wave??? 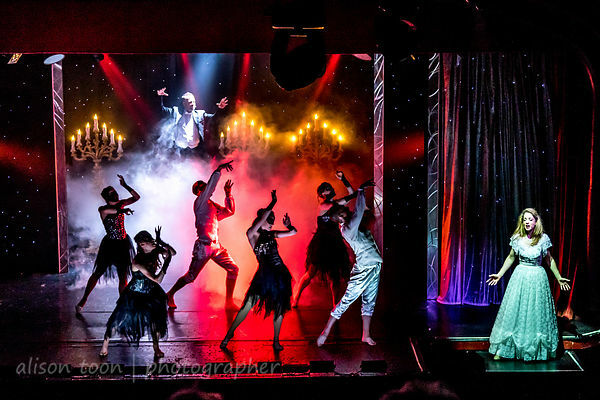 Cromer Pier Show: show two! Phantom of the Opera, Madame Butterfly and... Potato Wave??? 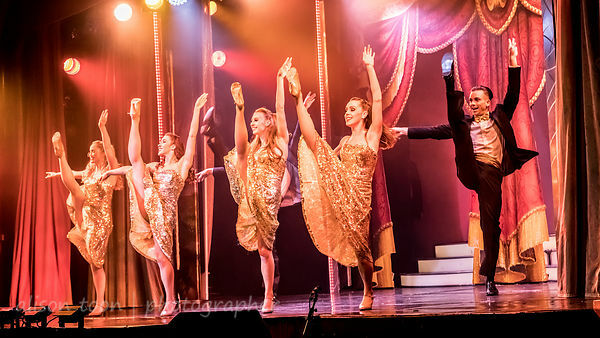 Cromer Pier's summer show has two versions: Show One (review and photos here), and Show Two, which I saw this week for the first time. (There's also an end-of-summer best-of-both Ultimate version in September.) It's the same cast performing, every evening and matinee throughout the summer, and in rep theatre style they bring a host of characters to life with every show. Show Two, like Show One, is a huge variety of entertainment--it's called a "variety show" for a very good reason--and includes pop, opera, classical ballet, modern dance, musicals and magic. Show Two begins with the day's news, read by compere-comedian Steve Terry. Seriously funny... and it just keeps going from there. Entertaining, funny, beautiful and inspiring. Did you get your tickets yet? 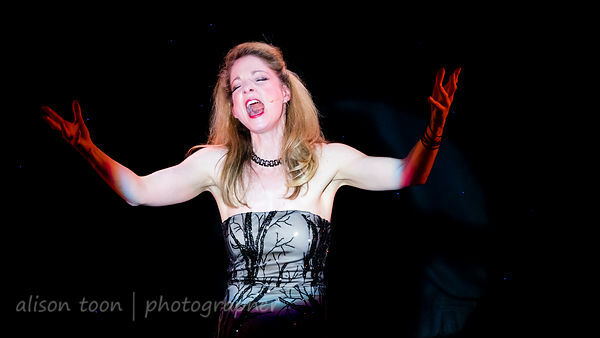 Emily Yarrow is spellbinding as she sings songs from Madame Butterfly and pop classics alike, with Harvey James as the male vocal lead, and with gorgeous choreography for scenes from The Phantom of the Opera. The young ladies from Cromer's Marlene's School of Dancing are delightful, and the dance team of Gemma, Jazzy, Connor, Mason, Sian and Emily have a huge repertoire of styles. And they can jump!!! At the end of both this show, and Show One, I came away astonished that so much dancing was done so magically by just six dancers. Entranced by the show, I didn't notice until the finale, when I counted the people on stage. Wait. Was all that show, all that entertainement, provided by just this wonderful group of people? Yes, indeed, every night and matinee show, throughout the summer. 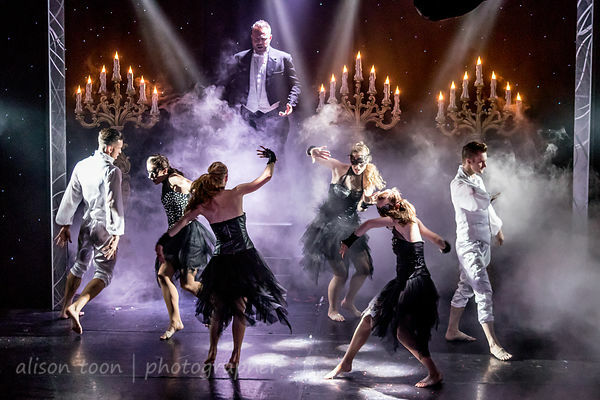 In Show Two, Zooka and Suzie Q are pure magic... together with white doves, escapes, quick changes and never-ending string (just how did they do that???). 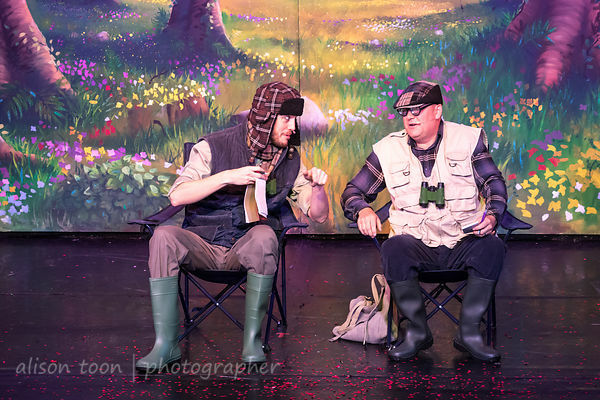 There is a hilarious, cheeky, naughty comedy routine when G (the man of a thousand voices) and Steve Terry do some bird-watching. Their timing is natural, perfect and so very, very funny. I want everyone to see this and laugh: like Morecambe and Wise, like the Two Ronnies, like Fry and Laurie, they bring out the funny in each other until both they and the audience alike are crying with laughter. It's infectious, its happy and it's not to be missed. It's like they've been working together forever--and maybe they should. The show finale has the entire cast sharing a set of The Village People's music, on a ship, with flags and dancing and singing and... watch out for that smokestack! 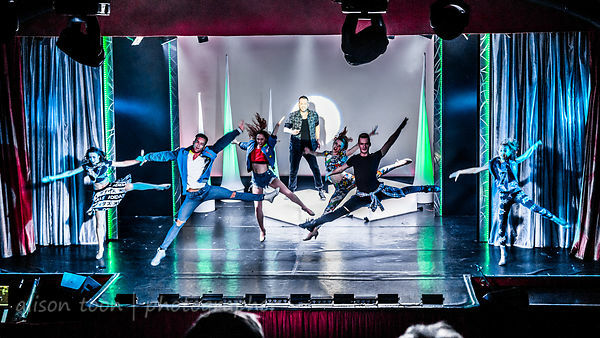 Find tickets for the Cromer Pier shows here on the pier website. And, if you book an adult seat before the 4th August--either online, with the code holidays, or at the box office on the pier--you can also have a child's ticket free! What a real opportunity to introduce the family to so much entertainment... and to sow the seeds for enjoying music of all styles, dance and comedy for the rest of their lives. 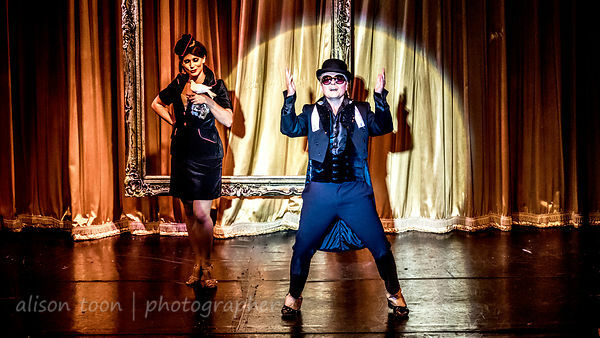 Many more photos, from both shows One and Two, here in the Cromer Pier Show gallery. Click!